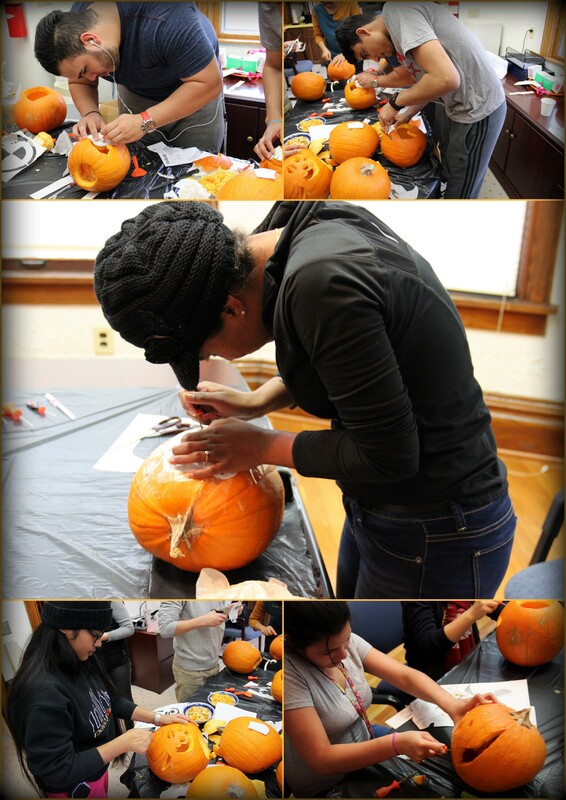 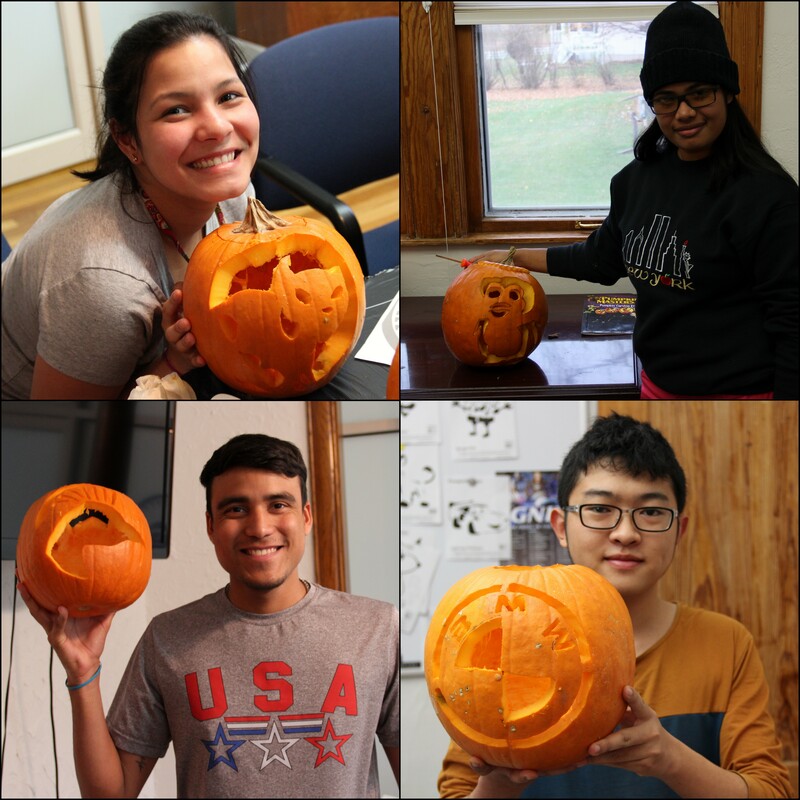 Just before Halloween, the IEP students carved pumpkins at the International House. 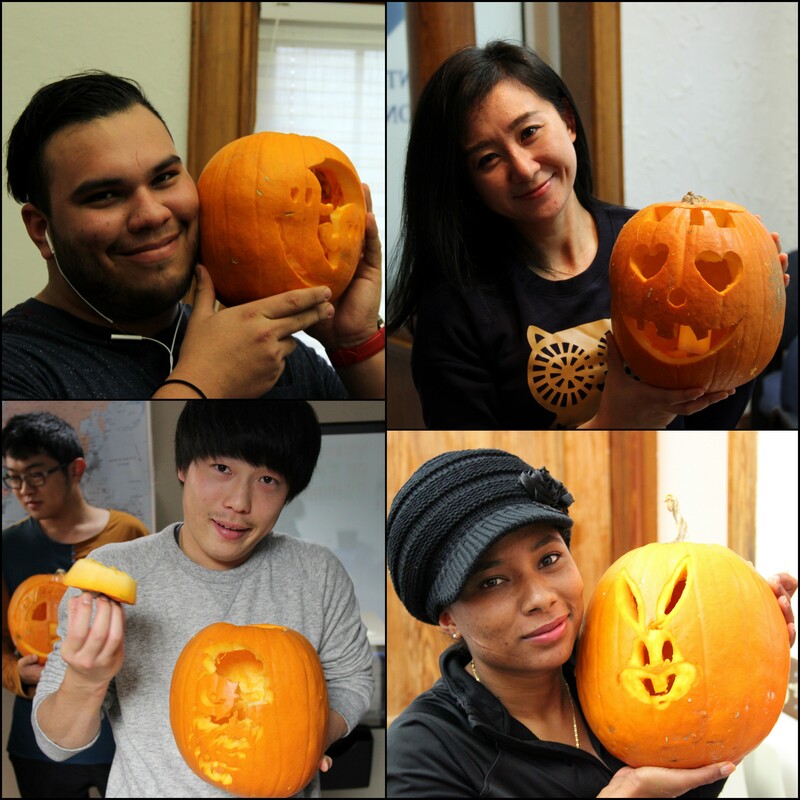 It was the first time that any of them had done it, but they worked hard and had a lot of fun as well. 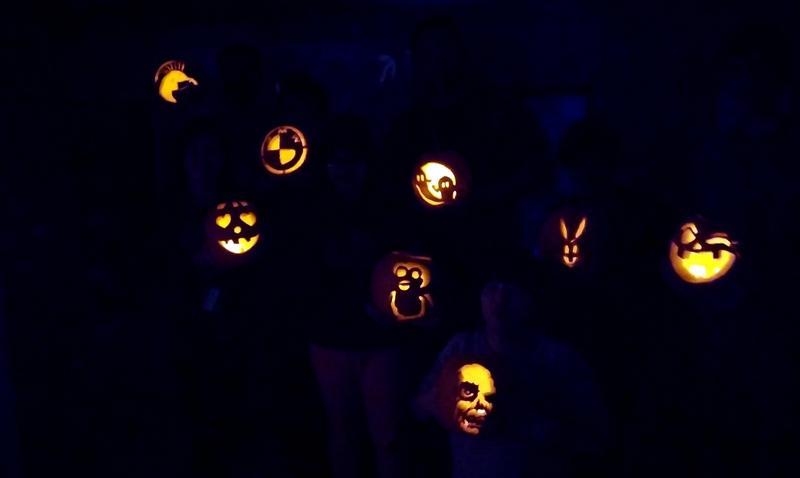 Some of the pumpkins were scary, some were cute, but they all were well done. You’re most welcome. 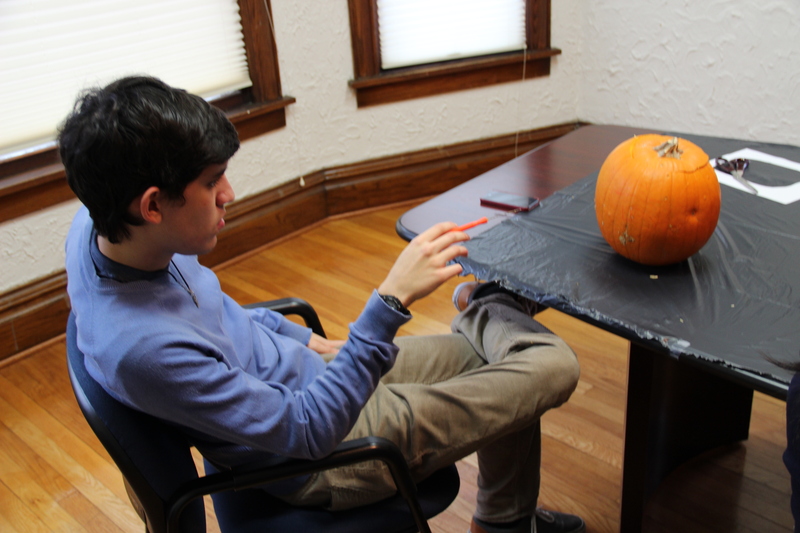 We miss you here, Angel.